Kalye is a lifetime athlete, former gymnast, trained dancer, healthy food enthusiast, full time gym rat and cycling fanatic. She is a Figure Class Bodybuilder holding titles as WNBF Master Figure Pro and Nationally Qualified (2 times) NPC Figure Competitor. 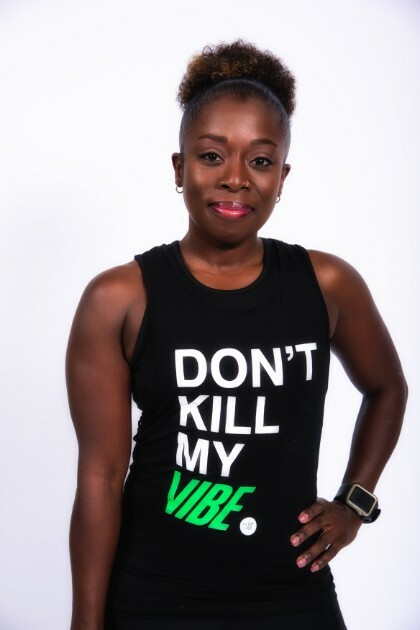 When this New York Native /Half Trinidadian is not in the gym lifting heavy things and putting them back down, she is sharing her love of fitness as some things that is fun something you can look forward to. You can find her pursuing her love of healthy alternatives to foods we all love to include growing food (gardening) cooking and meal prepping. You can expect a fun, energizing workout with Kalye!